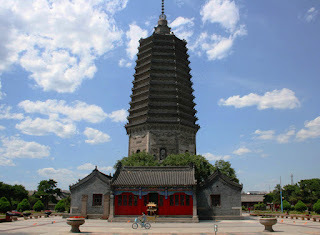 Jinzhou is a large city just inland from the coast of Liaoning. Jinzhou is an important stop on the Harbin to Beijing trainline and is relatively close to Shenyang, so its an easy place to get to from any direction. The coast is a 45 minute bus ride from the centre of town and as you would expect, there are more hotels in this area than the city centre, where its still easy to find a place to stay. I would recommend at least 2 nights to get the most out of this pleasant city and coast. Like many cities on this coast, shipping and industry are its main sources of income, but it's the outskirts of the city that are developed and the centre still has a relaxed, old-timey feeling to it. 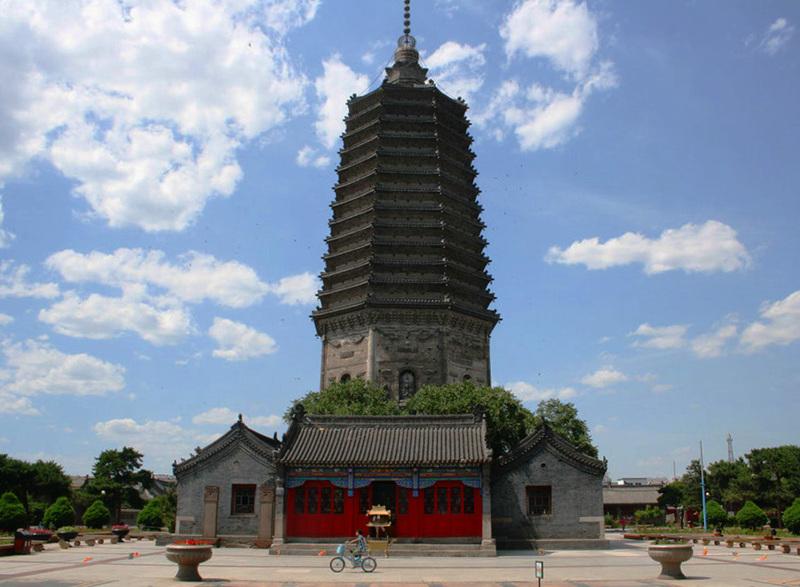 The main attraction is the Guangji Tower (广济寺庙塔), a stone pagoda within a monastery and park area, right in the heart of town. 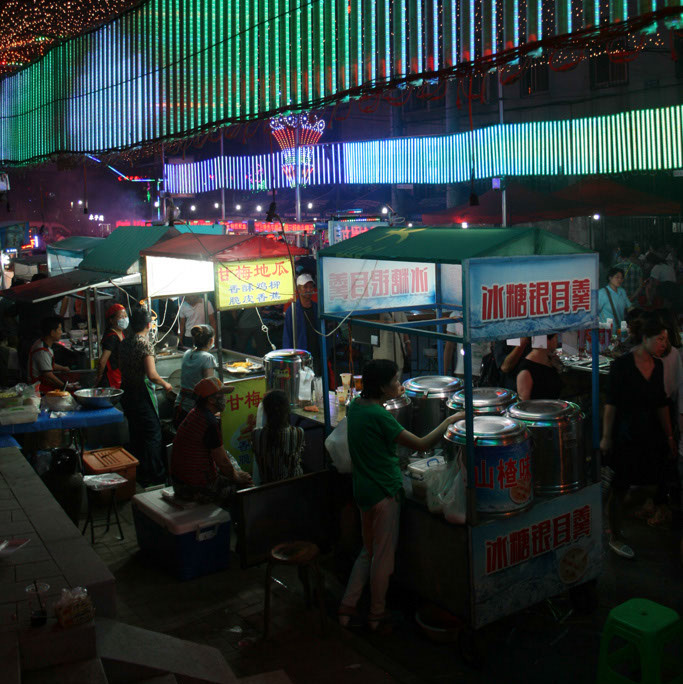 The other attraction is the Jinzhou night market, which runs every night from April to October. Located on Zhongyang Dajie-road (中央大街) and Fanhualu-road (繁华路) the peaceful town comes alive with lights and colours. Street food is the main draw of this large market, and in particular the seafood. I would recommend the oysters (烤生蚝), but there are lots of other things to try and buy too. There's a bus from near the train station that takes you to directly to the coastal district, if you can't figure out where to go, you should ask people for directions to Bijiashan(笔架山). The area around Bijiashan has been developed for tourists and its a strange area with vacant high-rises and empty roads. 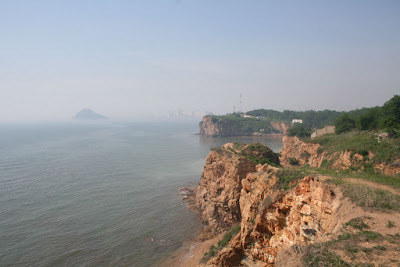 Following the coast northwards along from Bijiashan there are smallish beaches and cliffs to explore. The further along the coast the bigger the beaches get, and the more touristy it becomes. Around Bijiashan itself there are only a handful of hotels and restaurants.To find places to eat and more choice of places to stay, you can take a rickshaw/tuk tuk along the coastal road north, Binhaidadao-road (滨海大道）. This leads you to bigger tourist beaches. There are also buses that take people to and from work along the main roads. Bijiashan is not actually a mountain, but an island which is only accessible on foot at low tide. Its the biggest tourist attraction of the area so expect crowds and a pricey entrance ticket of 70RMB. If you're adventurous you might be able to sneak in for free, either by swimming from the rocks on the left side, or even just walking across from the beach. 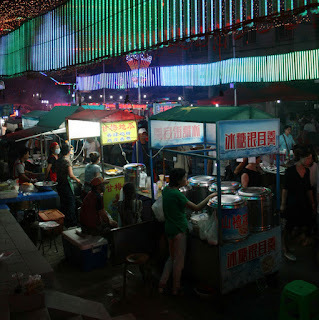 Jinzhou city is cheap and the night market is where you'll find the most interesting things to eat. The touristy coastal area is more expensive and there's the usual seafood restaurants. We managed to find an eat-as-much-you-can seafood buffet in the beachy area along Binhaidadao for around 150RMB per person.